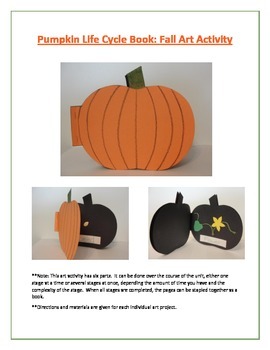 This Pumpkin Life Cycle book is a great way to learn the life cycle while celebrating Fall. 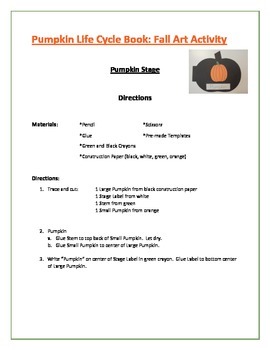 Students make their own Pumpkin Life Cycle Book. 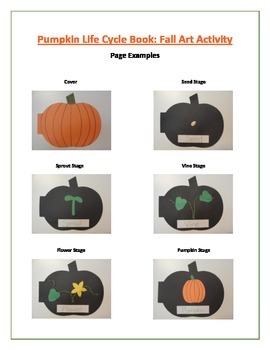 The book includes: Pumpkin Cover, Seed Stage, Sprout Stage, Vine Stage, Flower Stage, and Pumpkin Stage. The simple stage pages can be created at different times, making it a fun and easy project for younger students. Product by Shawneen Orzechowski. I am a former elementary teacher, now a children's historical fiction writer who also dabbles in children's poetry. Check out my other fun listings!